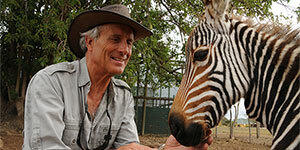 Jungle Jack Hanna returns for State Theatre's annual Family Day on February 18! He chats with us about the animals that he's bringing for his show as well as how he is still amazed by the things he gets to see and the places he gets to travel all over the globe. with Bert and Kelly from All Access and special guest Jack Hanna. Bert: Welcome back to All Access with State Theatre New Jersey, coming up some just added and upcoming events. We got a couple of great things that we want to tell you about a little bit later on in the show. Kel, of course, it’s hard to believe that the big Family Day event is coming up already on Monday, February 18, and we’re so excited to have our guest back as part of the Family Day celebration this year. Kelly: Yes, he has performed at one of our Family Days a couple years ago and it was so exciting. He brought along all of his fun animal friends and that, of course, is Jungle Jack Hanna. Welcome Jack! Jack: It’s a joke. It’s a joke, everybody. …. Kelly: Well, Jack, why don’t we start there? I know you bring a variety of animals but what is the process of coming to, when you’re touring and you’re bringing your friends, who you get to pick to come with you? Jack: Well, this year we’re going to have a lot of fun. Plus, I’ve got—before I tell you about the animals—I am bringing the Great Migration, which I have not shown there. I just filmed it two years ago. The Great Migration, they call it a wonder of the world, and I always—out of all the years I filmed it after about 20 years—I’ve finally got to catch it the year before last where the migration took place . I will be showing a video where they’ll see anywhere from half a million to a million wildebeests, zebras, all these animals, you can imagine, half a million, a million come all at once across the Mara River. It was the first time I ever got to film the Great Migration so I will be showing that. Bert: That’s gotta be spectacular. Nowadays, with technology, and this 4K, and this ultra HD, these images have to be just amazing. Jack: Oh, yeah, it really was. To me, I just could not believe my own eyeballs when I saw them. Thousands of them just come flying across here. I told the guy, “boy, that’s about a hundred thousand.” He said, “Mr. Hanna, there’s gonna be a million animals you’re gonna watch here in the next hour.” I could not believe it. But we’re also gonna bring, folks, the world’s fastest land animal, a cheetah. We’re gonna bring the echidna. There’s only two animals in the world that lay eggs. This is a mammal laying an egg like a chicken, it’s called the echidna. There’s only two of them in the United States, actually, maybe one of them or two of them in the United States. The echidna comes from Australia and it’s a mammal that lays an egg like a chicken. We’re gonna bring kangaroos, penguins, lemurs, a big vulture, and then a binturong, which a bearcat from Asia. So, we’ve got some great animals, too. Kelly: Wow, say that again? A binturong? Kelly: Wow. I just learned something new today. Jack: Most people never heard of it. They call it a bearcat because it looks like a bear’s hair and has the whiskers of a cat. You don’t get to see many of them. So there’s some great animals: the cheetah, obviously, the fastest land mammal. And because of where you’re located, we can bring a lot of these great animals with me. Kelly: Of course. You know, Jack, you have travelled to so many amazing places, including visiting all seven continents, which just blows my mind. You are putting together your current show and you’re putting the video clips together, how do you decide what you’re gonna show? I mean there’s so much to show and to share with the audience. Jack: Yeah, it really is. The young ladies here in my office help me decide where to go throughout the world because we’ve travelled everywhere in the world. But still, even with myself, going back to whether it’s Rwanda, whether it’s Asia, whether it’s Africa, whether it’s anywhere, North Pole, South Pole, every time I go back it’s just like the first time. So, we have filmed some shows, yes, since I’ve been there. We’ll still show some of my favorites because if I sit here and like to watch something I’ve seen 50 times, I would never show it, I thought. But we have some different shows we’ll show there. As I’ve said before, because of where you are, we’ll have the fastest land mammal, again, the echidna, which is the egg laying mammal and there’s only a couple in the United States. So we’re bringing animals that most people have never seen. A binturong, as I said, a bearcat. So it’s going to be a lot of fun and you’re located near Columbus, Ohio so that’s what I like as well. Bert: Okay. Again, State Theatre New Jersey, Monday, February 18. 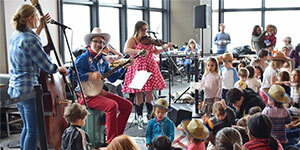 There’s two shows, or there’s three shows, rather, 10 am, 12:30 pm, and 3 pm and tickets and information is at stnj.org, as part of the big Family Day celebration. Jack, what goes through your mind when animal incidents are all over the news? We had a recent one, unfortunately. It involved the lion in North Carolina. There was a small child that somehow got inside a rhino enclosure. When I see stories like that in the news, I can’t help but remind myself that you know what, the biggest problem animals have is people and contact with people. What goes through your mind when stuff like that happens? Jack: Well, you know, I’m sharing something with you on the media that I’ve only done maybe twice in twenty years and I don’t mind sharing with you because I live with this every single day. I raise lions and other animals in Tennessee for the zoos there on our farm; it was not open to the public, by the way. I always dreamed to be a zoo keeper since I was a little teeny boy. So after college, I was married, and we had a magnificent habitat there just for holding situations for other zoos who didn’t have the room. Sure enough, I’ve had some lions here I’d always raised myself and they weren’t for anybody in the public, and we were doing stuff with zoos and so I very much knew what I was doing, I did it for many years. But I’m sorry to say that someone came out there, a friend of my wife’s, to show her little boy the lion. I wasn’t there, my wife was shopping, and I had three year old kids as well way back then when this happened in the early 70s. And what happened is I guess she crossed one fence, two fences, then walked the child up to the thing and then he pet the lion, and the little boy lost his arm. Now I’m telling you that because I live with it, all the time. But you know, if you go to a racetrack, you don’t cross the fence, do you? Where the cars are racing, do you? No. So, you know, as far as accidents happening, sometimes it might have not been the zoo by any chance. So, it’s like jumping on a racetrack, for example. You have to understand that when we have all these animals, we do the best we can to protect the public, as well as protect the animal. Kelly: Yeah. You know, Jack, looking at your career, you’ve had your television specials, I mean, I know if I go back where I’ve seen you as the Late Night talk shows, for years of bringing animals onto these shows, it’s always, obviously, fascinating when the guest sitting next to you is like out of their mind because an animal is near them. But that has to be fun for you to kind of, you know, bring this animal and watch their reaction. Jack: You know, the thing is some people don’t understand. And it’s not a manner of, we don’t pull little baby animals to take them on TV by any means. A lot of cats, for example, the cheetah, the tigers, and wild cats, especially, on their first birth, will sometimes walk away from them or sometimes will consume them. Well, you can’t really allow an animal that’s endangered or almost extinct to sit there and take out a youngster. So what we do is we do bring the animals out there. Every once in a while, the animal rights person, they don’t do it anymore by the way, they used to say, “well, why does Jack go on TV with animals?’ Well, it’s very simple why I do it. A lot of people can’t visit, I wish people could, I really do. I take a lot of people with me when I film in Africa, Asia, wherever I go, anywhere in the world. The ladies here in the office are always filled up every time we announce it within a week or so. But I get to show people these animals, so why do we have the zoological park, why do I do shows like I’m getting ready to do here recently at nearby states? Because everybody can’t see these animals. Yes, I’ve been very blessed to do this. The reason I like taking a living creature to my speeches is the fact that they get to actually have the camerawork where the camera man can show the claws, show the teeth, the eyes. He can show the hair of the animal like the animal’s sitting right in their lap. To me that means a lot because I’ve been blessed by the good Lord to be able to go to all these places and that fine, that’s real fine and dandy. But what about the other billions of people? Unless you love something, you can’t save something and that’s my logo. You know, that’s why I take animals with me so that people that live in an intercity or may never have that opportunity to see an animal up-close like that with the projectors we have and stuff and you see a living animal like that and you say, “I really love that. I want to save that animal.” So, you know, you can’t save everything, we try our best to do everything we can to educate people but I do speeches for thousands of people every year. They go away with, “Guess what, I saw the fastest animal in the world, the cheetah. They can go over 70 miles an hour.” In other words, when you get to see these animals and you can talk to them about the animals instead of watching TV a lot, you know, of course, here I’m killing my own TV show but I really get a great thing out of it. Do I make a living? Yes. But I like doing this because people leave there learning something about these animals. Bert: Yeah. I’ll still watch your Saturday morning show, Jack. I always tune in every week so count on me. I’ll always be there for you, of course. I love the fact that you’re so passionate about conservation because I feel the same. I saw a list recently of 2019 animals that are unfortunately close to extinction and might vanish from our planet forever. It’s just really a heartbreaking thing. And one of them was like a giant white rhino or something where there are only three left in the whole world, a male and two females, and the male died in a zoo in Africa. So it’s like a matter of time, this species is gonna be gone. Now some people will say it’s just a natural cycle and species come and go over time. Tend to disagree with that, I have a feeling you do too. Jack: Yeah, here’s the thing about the rhino. Yes the white rhino, there are two different types of white rhinos. The northern white rhino, what you’re saying is yes, that one is going to go extinct. When I say this, folks, I don’t ever say this because I don’t want people to go, “Well, I’m not gonna help that cheetah because he’s gonna go extinct.” No, I don’t do that. In this situation, you just said yourself, there’s three left in the world. I’m sorry to say that poaching was the main, main cause of that. It wasn’t one of these natural things that happened. It wasn’t hunters, either. This was about poaching. The rhino horn. Do you know how much the rhino horn was last? I went there 1972 where the rhino horn was selling for about a thousand bucks. A rhino horn today, they stopped it by the way by now because you can go to prison, but right now the rhino horn is up to, believe this one, anywhere from minimum of 12 thousand up to 50 thousand dollars a horn of a rhino. So you understand now why they poach, don’t you? I mean, and real quickly just to tell you this, I always wanted to know all these years why would they take the rhino horn. Well, I’m gonna tell you this, I’ve only done this twice on TV and to a radio station, two times totally by the way. The rhino horn, I couldn’t figure out why they were killing the rhino. Well, I hope you understand what I’m getting ready to say here, way back when about 500 years ago or 1,000 years ago in Asia, when the rhino would breed he would mount the female and stay there and breed her for at least, I would say, they say a half an hour to an hour. So with that said, back then, during the old times thousands of years ago, they said, “Hey, let’s go out there and get the rhino. Let’s get its horn. Maybe it is an aphrodisiac for us.” That’s how, because you know why I’m telling you something now that I found out two years ago. All these years I’ve always wondered why in the world are they taking that rhino horn... The main thing is they grind that up into a power and sell that for thousands of dollars. Can you imagine that? Well, you know, we all, I know one thing, that it’s totally ridiculous. You know, every country, every people, and different tribes throughout the world have their own beliefs and I’m not sit there and mock them all, but this one I will mock. It’s the dumbest thing in the world. But that’s what they, over a thousand years ago, because I read about this, they did the rhino because of the way the rhino bred, they felt if they could get the ground up horn, they could also, as a person, do the same thing with breeding. I finally found that out three years ago because I couldn’t find out why they kill in the world they’re killing all these rhinos. And that is something I will not stand for. That is just not necessary. Kelly: Wow, well Jack, you have done it all, I mean, television, you’ve written multiple books, I think, your 15 books and, of course, your tour. For many years. Very, very long awesome career. What is next for you? Do you have something in the horizon? Jack: Well you know, that… that is a good question. People always ask me when I’m gonna quit or when I’m gonna stop and stuff. But you know, it’s not a manner necessarily of income, it’s a manner of people that work for me in the office here, they all don’t work here because of any kind of income. They work here because they all love the animal world. It’s also very interesting. So, I know my time is coming, obviously. I don’t mind saying this, I just celebrated my 72nd birthday last week or two weeks ago. You know, everybody thinks at the age of 72 what am I doing? Well, Marlin Perkins, he went out until about 80 years old. You may not remember who he was with the wild kingdom many years ago. He was like, you know, I just loved to watch him. Not to be on TV, I never wanted to be on TV, I just wanted to travel the world. It was a great TV series back then before Disney, way back in the 1960s or 70s. I did not want to be on TV, I just wanted to travel. Sure enough, I’ve been very blessed to go anywhere in the world and film animals. People say when am I gonna retire and not want to do it. I feel like Steve Irwin was a guy I knew and his family and god bless his two children for taking over his show right now because he was always one of the greatest guys. We tried teaching conservation in a way that is kind of fun to watch; let’s just put it that way. That is what Steve and I really tried to do. In TV today I can sit up there if you want me to and give you a bunch of videos that aren’t fun to watch. Watching an elephant get killed or watching a lion take down a zebra. Watch that kind of stuff, which is natural, yes, some of it. But that’s not something I think we need to – even though you see it once in a while – we do show hunts in different countries with animals. We do try – we didn’t avoid two things this year, I wish we had of - because kids and families get to watch enough of that stuff. But it is natural when I see a lion on a hunt or a cheetah or whatever. I try to just show the animal hunting it first and then not showing exactly what happens. But every once in a while it does reach the tv. It’s even hard for me when I film this in the wild everywhere. It’s still difficult for me to watch but that’s what nature is. You know, the lion, the tiger, the cheetah. The animals have to consume things to stay alive so that’s something that, even after filming it so many times, it’s still not easy to watch. Bert: Yeah. It’ll be a great day, of course, of education and entertainment when Jack Hanna’s Into the Wild Live comes back to State Theatre New Jersey on Monday, February 18 as part of the Family Day celebration. Tickets and information at STNJ.org. 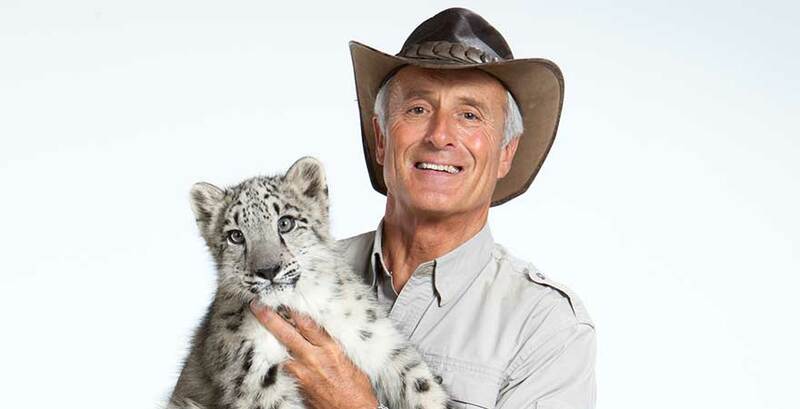 The show times for Jack Hanna are 10am, 12:30pm, and 3pm. So get your tickets and come on out. It’s gonna be a remarkable day. Jack: It will be, I’ll tell you that. We got great animals. Bert: Look forward to it. It’s always great having you on the show. You might not save every animal in the world, Jack, but to every animal you save you mean the world to them. That’s for sure. Jack: Well my wife thinks that way. She’s my favorite animal. Bert: Thanks, as always, Jack. See you soon, alright? Jack: Thank you all. See you soon. Thank you.